How to Stabilize Internet Cafe Business? Stabilization is everybody’s primary concern, whether you are employed or doing your own business. It means economic security to some of us. The reason why Internet cafe business needs to be stable to be more profitable. How? Cost-cutting shouldn’t jeopardize your business. I know you need it but don’t overdo it. 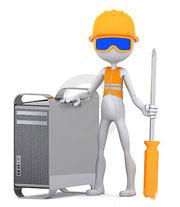 Completely removing your air-conditioner which is now the trend of most internet station doesn’t do good. Reducing your manpower that sacrifices the cleanliness of your shop is bad idea. Having no technical person to maintain the good functionality of your computer units is unwise. Upgrading is investment not expenses as many net owners sees it. Upgrading is vital in Internet cafe, it is the heart of the business. It affects your shop’s image. Therefore acquiring good computer units and peripherals molds a better image. The better your image, the more customers will come in. Complacency kills business. Internet cafe is a business, so be careful. What I mean is that, don’t be content by just offering computer rentals. Offer other computer services such as; printing, scanning, typing job, photo printing and more. Sky is the limit, be complete as possible. It is your solid foundation. Technology evolves faster than light and its endless. Take advantage of it. Be always the first to offer new. Cyber cafe business is really profitable business which can be the great way to earn lot of money.The idea you have given on your site is really great.Best of luck. Thanks Jillur, for your commendation. Indeed, Internet Cafe is one of the best business worth investing with.